WASHINGTON, D.C. – April 17, 2018 — The hazards of space flight are well known: freezing temperatures, the vacuum of space, radiation, isolation. But there's a lesser-known risk getting the attention of researchers – a possible danger to vision. 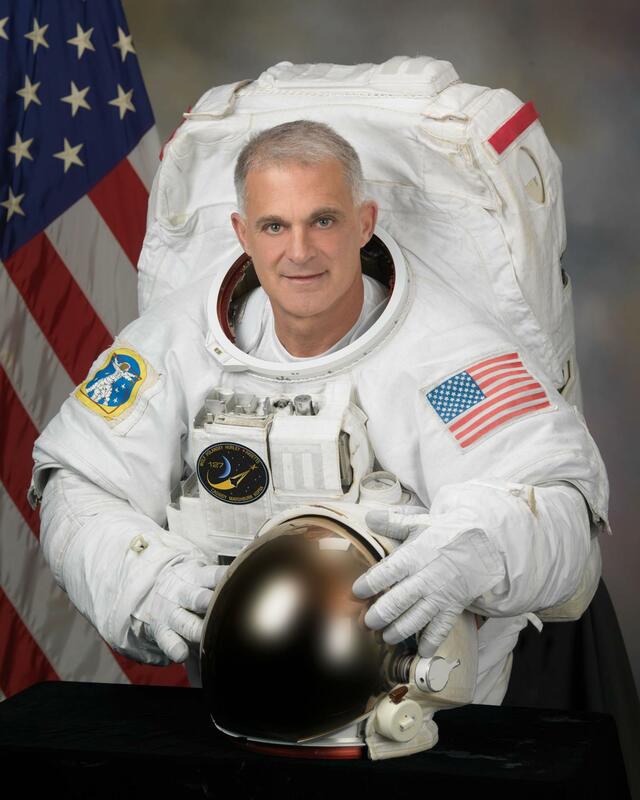 Retired NASA astronaut David Wolf, M.D., will provide insight into how space flight affects the eye on Thursday, April 19, when he gives the keynote address during a conference attended by many of the nation's leading eye physicians and surgeons, hosted by the American Academy of Ophthalmology in Washington, D.C.
One of the few people on Earth who know what it's like to leave it, Dr. Wolf logged 168 days in space over four separate space shuttle missions, including 128 days aboard the Russian Mir space station. He also led the spacewalk team that constructed the International Space Station. Dr. Wolf will discuss his experience, including the ways space flight changes the structure of the eye. Many astronauts have experience worsening eye sight after their missions, some for years after returning to earth. The leading theory is that microgravity causes a mild but persistent pressure rise in the head. This increase in pressure stimulates the eye to reshape, causing visual impairment. Researchers are now using the same imaging techniques that ophthalmologists use every day to find solutions to the damaging effects of space travel on vision. This research is critical as the U.S. prepares for longer spaceflights to the International Space Station, moon, asteroid belt or Mars. In February, Vice President Mike Pence appointed Wolf to serve on the new Users Advisory Group for the National Space Council. The group is sponsored by NASA and reports to the National Space Council on a range of issues. It will give direction on U.S. space policy. Dr. Wolf served as a U.S. Air Force senior flight surgeon in the Air National Guard (1983 to 2004), achieving the rank of Lt. Colonel. An electrical engineer and inventor, he pioneered the development of modern medical ultrasonic image processing techniques, and has been awarded 17 U.S. patents. He also received the NASA Exceptional Engineering Achievement Medal in 1990, and was named NASA Inventor of the Year in 1992. In 2011, Wolf was inducted into the Space Foundation's Space Technology Hall of Fame for his work in developing the bioreactor, a device that enables the growth of tissue, cancer tumors and virus cultures outside the body in space and on earth.